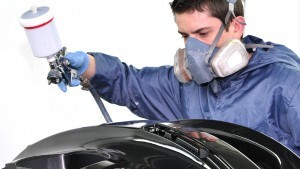 Montvern Panel Masters is one of Melbourne’s leading car smash repairs and panel beating services. We offer a comprehensive range of top quality services for smash repairs. Our services include expert servicing for all leading car brands, expert detailing, and much more. If you’re looking for that pro quality service for a late model car, including air conditioning and system services, talk to us. Our highly experienced panel beaters provide meticulous high standards of workmanship on all jobs. We use the latest technologies to deliver exceptional service. Whether you need a small dent repair of a complete car panel beating and service work, we can do it all for you. Our 50-year track record in smash repairs speaks for itself. We work with the top brands on the market, including all the late models. Whenever you want expert service for a prestige car in Melbourne, call us. Whatever kind of servicing you need, we can do any job for you, and we’ll do it well. When you need help fast and friendly, no-fuss service that delivers what you need, we’re here for you. If you need car smash repairs, call us now to receive professional care and support. We’ll offer you a replacement vehicle, and all the help you need to get your car back on the road. If you’d like to enquire about our services, ring (03) 9874 5899 or use our online contact form for Professional Panel Beating service and speak to one of our team. We’ll deliver all the support, technical guidance practical help and solutions you need in our Auto Shop located in 421- 423 Canterbury Road, Vermont, Victoria 3133, Australia. If you’d like a quote right now, use our online form request car repair quote now.